Often times strategies are developed to align with the day-to-day life of the target audience. When the target audience is on the go, the creative executions have to be too! Just like a seed blown through the wind, the strategy must follow and be planted at certain touch points during the target audience's daily route. This requires stepping away from the usual print ads to create something bigger and disruptive. Thats exactly what Out-of-Home marketing is for! Whether it be a bus with glasses wrapped to the front of it, or a billboard they pass everyday to work, these are ways to plant the brand in the consumer's mind. Take a look at some of the out of home and trade show graphics I have been involved in. Through two class projects I have developed a serious crush on the Warby Parker eyewear. As this brand continues to grow and expand its brick and mortar locations, It was essential to drive people to their new locations. My team and I took advantage of bus stops and buses that were on route to Warby Parker locations. Our target audience are busy bee's that travel to big cities for work. 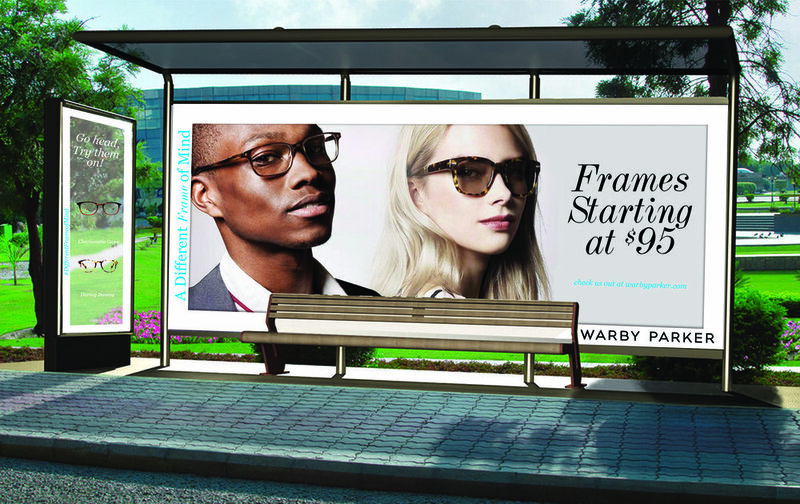 While they wait at these bus stops, they are able to step behind the glass and place their face behind the frontal view frames to "try-on" a pair of Warby frames. 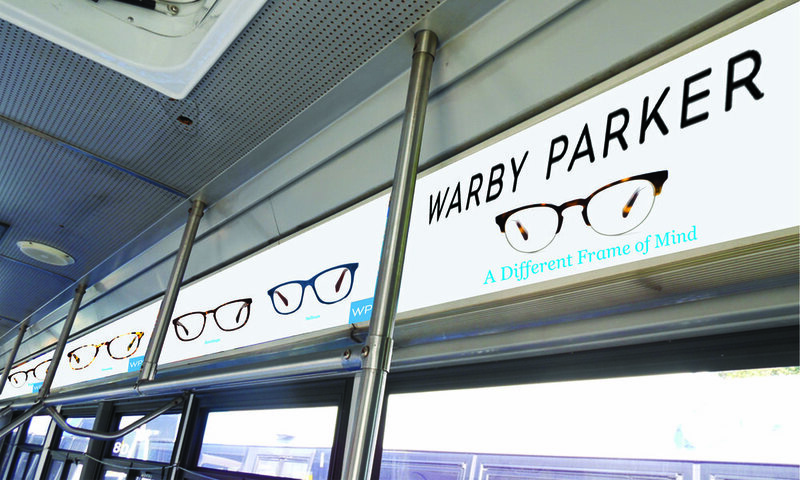 Frontal view of Warby Bus wrap that stops at the Warby branded bus stops. The side of the bus continues with temple part of the frames on each side. On each window is a different pair of Warby Parker frames. When riders look out the window, it will appear that they have the glasses on. 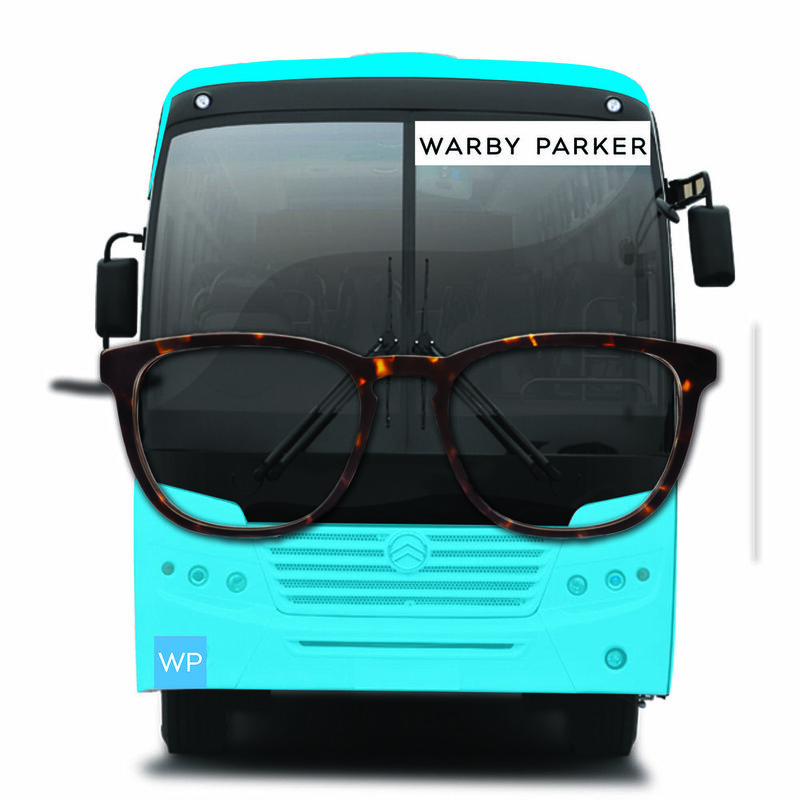 Within the Warby Parker wrapped bus, will also be decked out in the Warby frames. You know those commercials that make you wipe away a tear because the animals just look so scared and lonely, and the music is really heartfelt and moving? The ASPCA has a few of these that could make anyone feel guilty, like me, enough to turn the channel. For National Volunteer Month, I wanted to take a complete 180 with this brand to create a disruptor in the world. 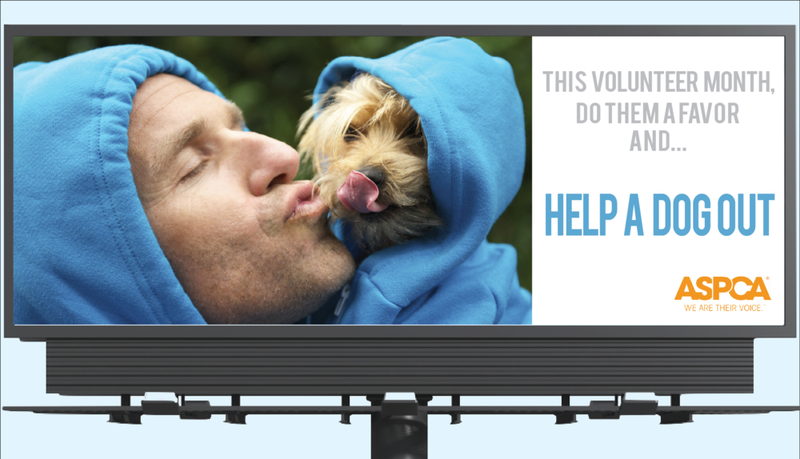 I decided to take a more light-hearted approach to this billboard so people would quit looking the other direction in guilt and instead jump aboard with this reinvented and motivational organization. To promote the U.S. Open, I found that placing an ad within the airport terminals would effectively reach their target audience because they tend to lean more towards traveling business people. Using the tagline line, "See you there", was a way to encourage the target audience that they need to go experience the tournament in person. 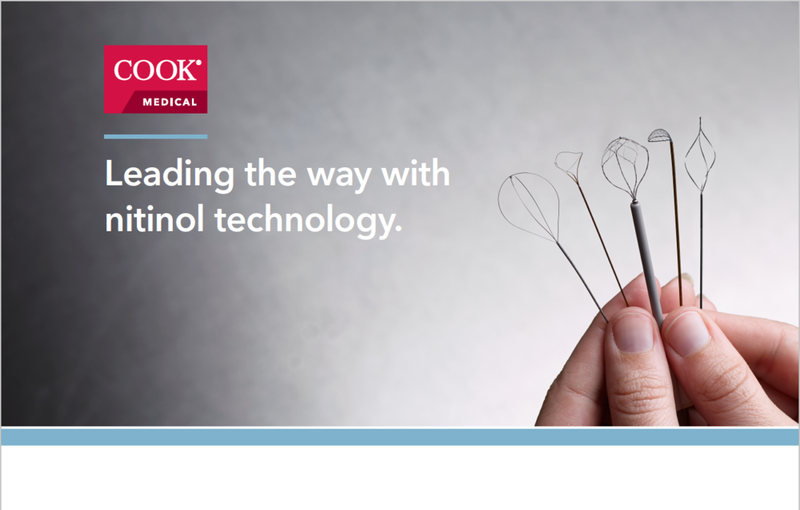 This was one of the wall booth graphics for a Urology trade show in Hong Kong. Compared to our most recent booth graphics, this trade show stuck with the standard Cook Medical style guidelines. Under the blue bar is left white, because a table or cabinet would be placed in front of it. This 540 cm x 210 cm graphic was placed in a prime location at another one of our international trade shows. Right as attendees were coming down the escalators, this graphic was the first graphic they saw before entering the trade show. This graphic in particle, is to showcase our Vista education courses, where physicians can work along each other to learn about new urology techniques and devices.